July 24, 2017 (LBO) – Sri Lanka’s annual average inflation remained at a more than 18-month high of 6.1 percent in June, unchanged from a month ago. 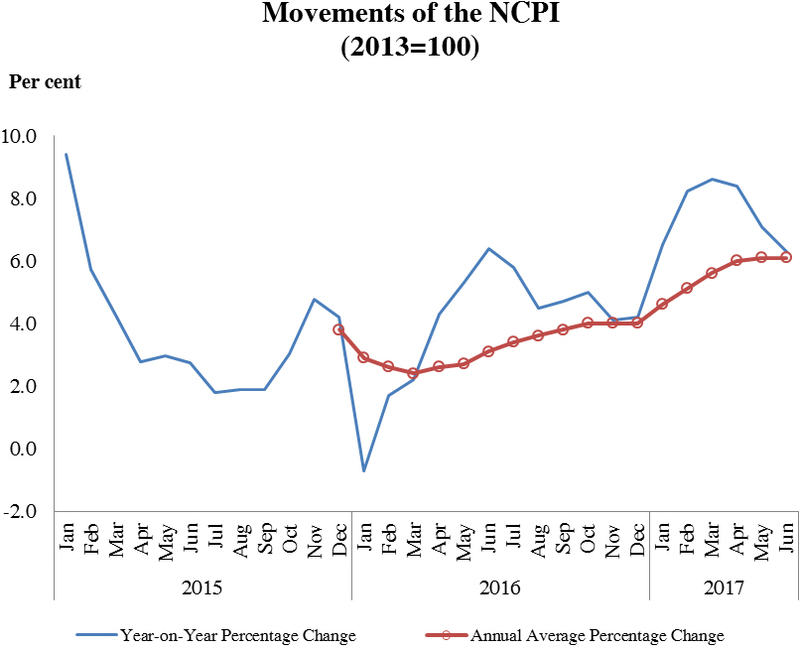 National Consumer Price Index which measures nation-wide inflation is the most recent consumer price index of the Statistics Department that has been released monthly from October 2015. Data is available for the annual average percentage change since December 2015 where the index reported 3.8 percent. Annual average inflation or 12-month moving average is the percentage difference between the average price index of last 12 months and the average price index of previous 12 months. Moving average is used to determine the direction of inflation which allows looking at smoothed data rather than focusing on short term price fluctuations. As per the statistics, nation-wide consumer prices in June rose 6.3 percent from a year earlier, after accelerating 7.1 percent a month ago. When the monthly change is considered, the index rose 1.3 percent in June, after rising 0.7 percent in May. The index increased from 121.8 index points in May to 123.4 index points in June mainly due to the increase in prices of the items in the food category.